It's Natalie here with you again. I hope you all had an enjoyable weekend? Today it's my turn to share with you a tutorial as I'm the last of the DT girls to do so (in this first round anyway!) I'm sure you've been enjoying them all as much as I have. 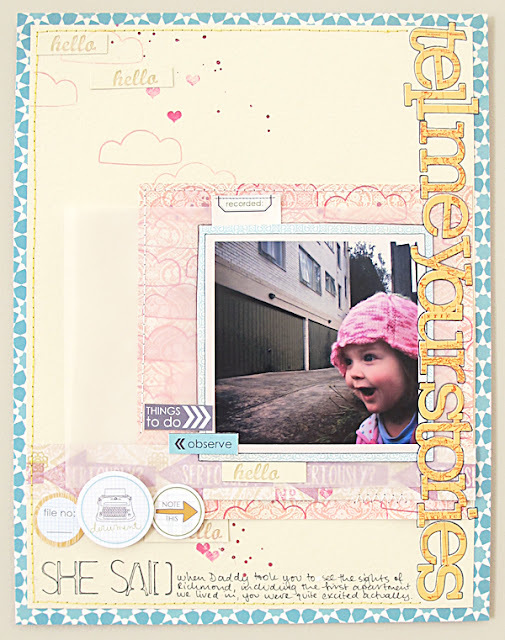 Two: what I wanted to focus on today is the technique that I've called 'repetitive stamping'. Or another way that I like to think of it is 'making your own patterned paper'. Because what I mean by that is taking one single stamp and using it over and over to create your own pattern. In the video you'll see that I've done that in a few different ways. 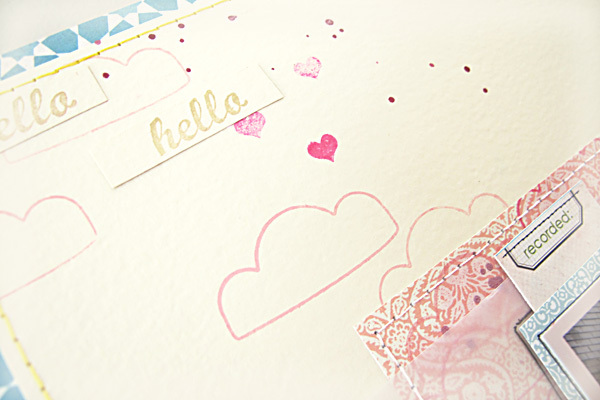 I used the Cloud Outline stamp to make my own patterned paper (and I've painted in the clouds to add some more colour). 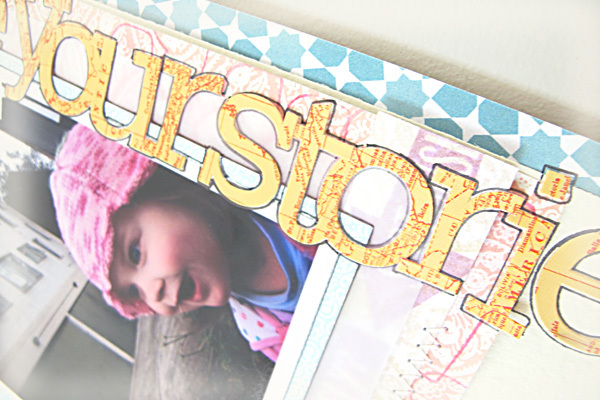 I used the Seriously Arrow stamp to create my own border strip. And I used the 'hello' from the Typewriter Love Set to make a little text embellishment. PS. My page is about that look of wonderment and awe on my youngest' face whenever her Daddy tells her a story. I know that in a few years time those same stories are only going to generate an eye-roll and perhaps a groan of "I've heard it all before" so I thought I better capture it whilst I can!! btw, I finished my mini book I won and am putting it on my blog tonight! THANK YOU!!! 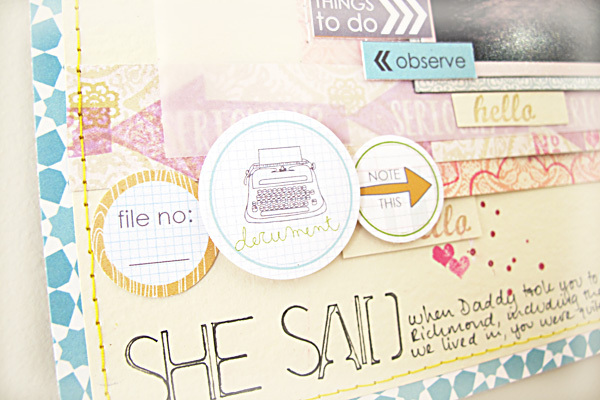 I really enjoyed this....love watching your creative process, that cloud stamp is yum!!!!! what an adorable photo and page!